You are here: Home > 7 Types of Practice To Produce Peak Gymnastics Meet Performance? 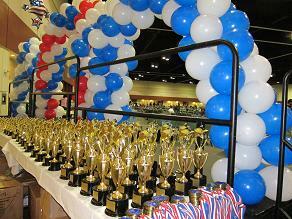 There are a number of types of gymnastics practices that contribute most to successful gymnastics competitions. Deliberate practice is a term derived from the 10,000 Hours to Excellence concept. What deliberate practice refers to is a practice is a part of planned long-term training training strategies. It also refers to the concept that gymnasts are aware of the purpose of each aspect of practice, and are working hard at training in order to progress toward the long-term goal. A practice where a gymnast knows what they are doing, and why and where they are headed in the sport, is always more valuable than a practice, when a gymnast is just doing what they are told. Intentional practice is practice where gymnasts are intentionally aiming each moment of their practice to achieve a specific outcome, that is, in itself, a part of a plan of actively working toward a specific long-term goal. Gymnasts need to intend for each aspect of every practice to have and achieve a specific goal or step of progress, and gymnasts should be intentionally working toward long-term goals in every practice. Again, intentional practice, is a practice where a gymnast intends to achieve steps of progress and goals, by intentionally making the maximum amount of progress on each part of daily practices. There is research that shows that making your practice as similar as possible to the real life competition meet scenarios is beneficial. One example of how to do this is to have gymnasts compete their competition routines at least once every day all year round, complete with a timed competition meet warm-up. 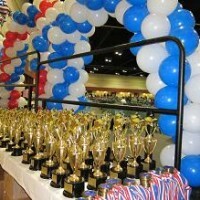 This models competition and provides a practice specifically designed to improve meet competition performance. Practicing under as close to the same types of pressure you will face at meets is one of the best ways to prepare for competition. One real competition pressure practice scenario is far more useful than hundreds of repetitive drills and repetitive basic review practice and will result in better meet performance. The only real way to learn to compete successfully in meets is to compete. But competing successfully under pressure is something that can be enhanced to some degree by daily practice competitions and competition scenarios. While, generally, coaches should be designing practices where gymnasts can achieve success, it is also necessary for gymnasts to fall and fail from time to time. When I raced motocross motorcycles, we always used to say, “If you haven’t fallen, you don’t know how fast you can go.” Failures in practice can point out areas that need to be improved and need additional work and training. Too many coaches use repetition as their main practice strategy and style. Practice cannot just be repetition, particularly practices with errors and lackadaisical effort. Practices have to be coached closely and coaches have to ruthless in their pursuit of correct execution and correct technique. Coaches must be critical and keep trying to improve all of the elements of every skill, combination and routine. If you go to gymnastics meets, it is easy to see which gyms use repetition as their training strategy and which gymnastics teams are closely coached. The closely coached teams have excellent execution, which is visibly better than the teams, which use only repetition as a training strategy. It is easier and natural for both gymnasts and coaches to work on what they do well. But bpth coaches and gymnasts have weak events. And the payoff, in score improvements, of improving weaknesses is usually higher than improving what you do best. Facing up to your weaknesses and overcoming them is more difficult, but it is well worth the effort. Professional coaches, who spend considerable, specific, and sustained effort to do improve their weaknesses and the things their gymnasts canâ€™t do well or at all, show the most improvement. Often the secret to competition success is to work outside of the gymnast’s (and coach’s) comfort zone.